My aim is to support the Chapters and ensure that all new exaltees are looked after and encouraged to enjoy the Royal Arch which is the completion of their fourth step. Also to provide support for those Companions who aspire to progress through the various offices of their Chapter. 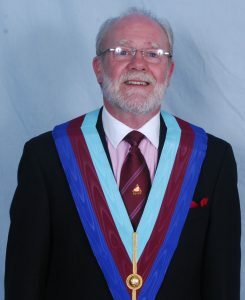 With the help of the Provincial Stewards Chapter and the Installed First Principals Chapter we have a wealth of experience and support which I intend to use to make the Royal Arch Companions in Suffolk a group of Proud Royal Arch Masons.